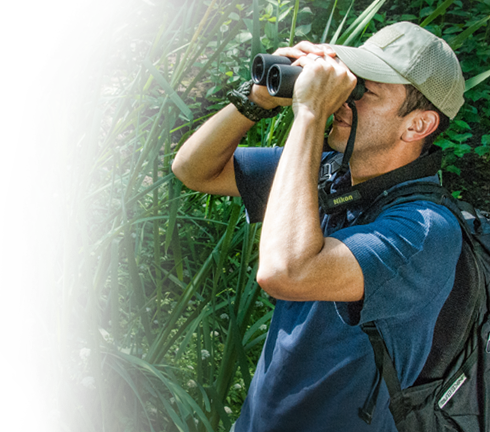 The PROSTAFF 5 binocular is Nikon’s latest addition to its dependable line of PROSTAFF optics. With four different models to choose from, outdoors enthusiasts can select the magnification and objective lens that makes the most sense for their next adventure. Multilayer-coated lenses for brighter images. Nikon Prostaff 5 10X50 Binocular ensures a more natural, clearer view. Enjoy comfortable viewing with a high-eyepoint design. This provides a clear field of view for everyone, even when the user is wearing eyeglasses, with sufficient space between the user’s eye and the eyepiece lens.